MEDINA: Medina Community Band will continue the 2013 summer season, a celebration of 154 years of presenting community concerts in Medina, on Thursday, July 4th, 2013, at 8:30p, in Medina’s Uptown Park Square Gazebo. The Medina Community Band is under the baton of conductor Marcus Neiman, starting his 40th summer concert series, with associate conductors Edward Lichtenberg and Tommy Walker. The 60 minute concert will feature works by LaPlante, Fillmore, Coleman, Arlen, Williams, Spears, and Sousa. Medina Community Band is sponsored by the Medina Community Band Association, a standing committee of the Medina Breakfast Kiwanis Club. Featured vocal soloist will be soprano Maria Jacobs with special guest conductor Nathan Stark, director of bands at Montana State University. The band will also feature Dixieland ensemble: Vicki Smith, clarinet; Marcia Nelson-Kline, trumpet; Lee Harper, trombone; Kyle Snyder, tuba; and, Bill Becker, drums. The ice cream social for the evening will be presented by Medina Breakfast Kiwanis. Maria Jacobs (soprano and pictured at left) was born in Cleveland (OH). 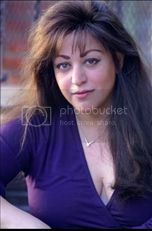 She began singing in the Melkite Catholic Church at a very early age, and soon began sharing the bandstand with her father Mike Jacobs, a drummer in the Cleveland area. Maria always wanted to sing and began with her own renditions of favorite standards. Upon graduating from college, Maria started working with several radio stations as a disc jockey, but it was in Cleveland that she met up with friend and mentor Bobby Jackson, three-time Gavin radio "Person of the Year.” The musical director of then 24-hour jazz station, WCPN, hired her as his research assistant. She is a former traffic reporter and disc jockey, who lived in Los Angeles (CA) for 11 years and sang The Langham Huntington (formerly the Ritz Carlton), The Four Seasons (Westlake, OH), Chava (Beverly Hills), and The Torrance Civic Center. Here in Cleveland she performs at the Hannah Theater, Nighttown and Cleveland's premier jazz club Take5. She has released four albums: No Frills, Free as a Dove, Chasing Dreams and most recently, Art of the Duo, and is currently working on her fifth with her band 4Get the Girl. While back in the Midwest, Maria performed at the Elmhurst Jazz Festival with The Kent State Jazz Band, and won the attention of judges Mike Abene, Dennis Mackrel and Byron Stripling. She was then invited by Byron Stripling to perform with him and the Columbus Jazz Orchestra. Maria opened for jazz trumpeter Chuck Mangione at The Coach House (Columbus, OH), was featured with the opening act for Bob Dorough. She is also a professional voice over artist and is represented by the Docherty Agency. She currently has a national commercial airing on television for Hoover Vacuum Cleaners, and has just graduated with honors from Kent State University, and now holds bachelor of arts in music education. Maria still performs in New York, Los Angeles, as well as Milwaukee, Cleveland and Columbus, Ohio. Free as a Dove is heard worldwide on Internet stations and traditional radio stations mostly in Los Angeles. Chasing Dreams can also be heard on these same stations including: WKHR, WCLV,KJAZ, KPFK, UNLV, WWOZ, WDNA, WUSF, WEMU, WTEB, WRTI, WAER to name a few. Also on Solar Radio with Bruce Nazarian at: www.thedigitalguy.net and with Bob Parlocha on www.jazzwithbobparlocha.com. Dr. Nathan Stark, pictured at right, is director of bands at Montana State University where he conducts the Wind Symphony, the University Band, and the “Spirit of the West” Marching Band. He has toured the nation as a member of the Santa Clara Vanguard drum and bugle corps and has performed in bands and orchestras around the United States and internationally. Dr. Stark has held band positions at Case Western Reserve University and Boise State University. 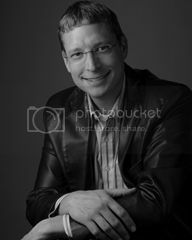 Nathan resides in Bozeman Montana with his wife and six-year-old daughter, and is principal conductor of the Bozeman Municipal Band. Marcus Neiman (pictured at right) celebrates his 41st season as conductor of the Medina Community Band and 40th summer season. Neiman is a part-time assistant professor of music education at Kent State University where he teaches the course “Music Education as a Profession,” supervises music education student teachers, and is responsible for outreach and recruitment for the Hugh A. Glauser School of Music. 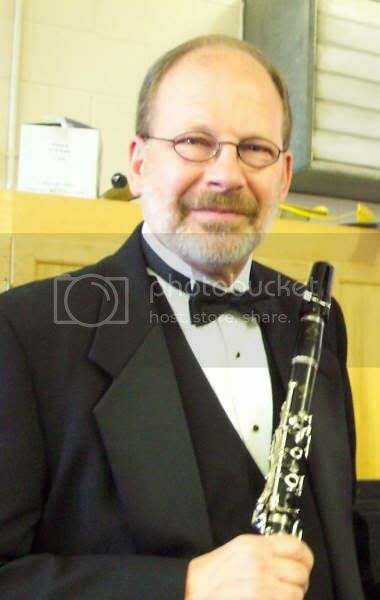 He was interim director of the Kent State University Concert Band during the 2010-2011 academic year. In addition, he coordinates the “Let’s Talk Tunes” and “Fab Friday,” and was 2013 site chair for the Ohio Music Education Association (OMEA) District 6 junior high-middle school large group adjudicated event on Kent’s campus. Edward Lichtenberg (associate conductor, pictured at left) . Ed retired in 1998 as assistant superintendent for Midview Schools in Lorain County after 32 years in education. Before becoming assistant superintendent, Ed was a middle school administrator and director of bands at Midview, where his concert bands consistently earned superior ratings in Ohio Music Education Association (OMEA) class “A.” Prior to working 30 years for Midview, Ed was director of instrumental music at Linden McKinley High School in Columbus. Thomas L. Walker (associate conductor, pictured at right) is currently retired from teaching instrumental music in Arkansas where he taught for 37 years. He graduated from Marked Tree High School and later attended Arkansas State University in Jonesboro, AR where he received his bachelor of music education, master of music education, and specialist in community college teaching. He is currently working on his doctorate at ASU. 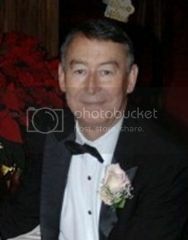 Thomas also was a member of the Arkansas Army National Guard for 37 years. He spent his career in the Guard as a Field Wireman, Combat Engineer, Musician, First Sergeant, and Battalion Command Sergeant Major. Thomas is now living in Akron, OH with his new wife, Rhonda Gail Davis. Pierre LaPlante (pictured at left), was born September 25th, 1943, in West Allis, Wisconsin. He grew up in Sturgeon Bay, Wisconsin, where he was active in the high school band, choir, and theatre. LaPlante received a music clinic tuition scholarship to attend the University of Wisconsin at Madison, where he earned his bachelor of music (1967) and master of music (1972) degrees. He began his teaching career in Blanchardville, Wisconsin (now the Pecatonica Area Schools), in the fall of 1967. His many years of working with beginning band students has proven very helpful when writing music that is accessible to young players. Cowboy Symphony is a three movement mini-symphony for band featuring traditional American cowboy songs including: The Girl I Left Behind, The Chisholm Trail, The Cowboys, Buffalo Gals, Golden Slippers, Soldier’s Joy, and, Skip to My Lou. Movements include: Chisholm Trail; The Cowboy; and, At a Cowboy Dance. Medina Community Band will perform the first and third movement. George Gershwin (pictured at left) was essentially self-taught. He was first a song plugger in Tin Pan Alley and an accompanist. 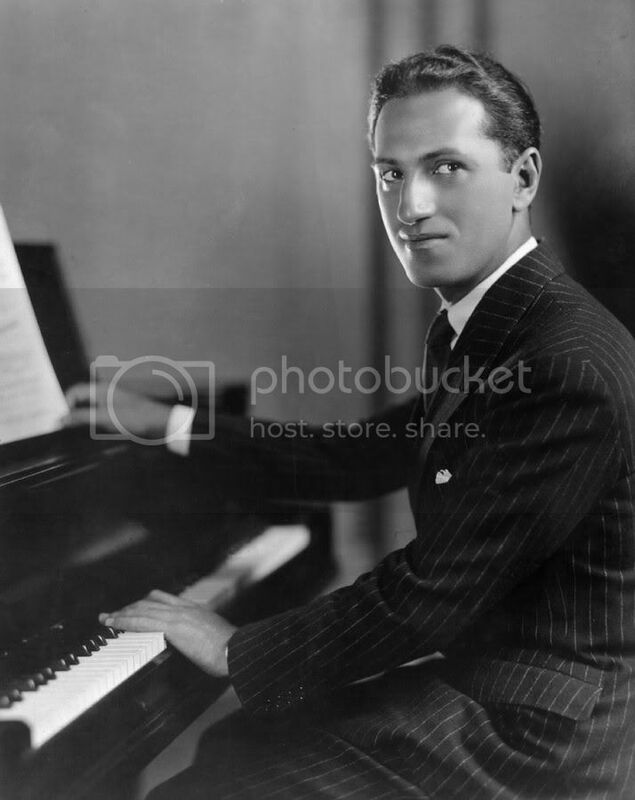 In his teens, he began to popular songs and produced a succession of musicals from 1919 to 1933 (Lady, be Good!, 1924; Oh, Kay!, 1926; Strike up the Band, 1927; Funny Face, 1927; Girl Crazy, 1930); the lyrics were generally by his brother Ira (1896 1983). His musical Rosalie (1928) was based the play by William Anthony McGuire and Guy Bolton (written for a Romberg/Gershwin Broadway musical, but filmed with all new songs by Cole Porter! 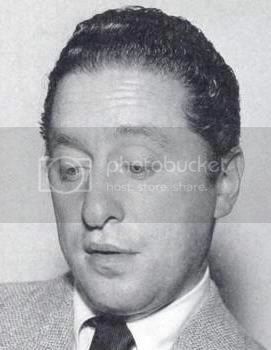 Harold Arlen (pictured at right) (February 15, 1905 - April 23, 1986) was an American composer of popular music, having written over 500 songs, a number of which have become known the world over. In addition to composing the songs for The Wizard of Oz, including the classic 1938 song, "Over the Rainbow,” Arlen is a highly regarded contributor to the Great American Songbook. "Over the Rainbow," in fact, was voted the twentieth century's No. 1 song by the Recording Industry Association of America (RIAA) and the National Endowment for the Arts (NEA). Over the Rainbow" (often referred to as "Somewhere Over the Rainbow") is a classic Academy Award-winning ballad song with music by Harold Arlen and lyrics by E.Y. Harburg and was sung by actress Judy Garland in her starring role as Dorothy Gale. Over time it would become Garland's signature song. In the film, part of the song is played by the MGM orchestra over the opening credits. About five minutes into the movie, actress Judy Garland playing the lead character, Dorothy, sings "Over the Rainbow" after unsuccessfully trying to get her aunt and uncle to listen to her relate an unpleasant incident involving her dog, Toto, and the nasty spinster, Miss Gulch (Margaret Hamilton). Dorothy's Aunt Em tells her to "find yourself a place where you won't get into any trouble", prompting Dorothy to walk off by herself. She muses to Toto "Someplace where there isn't any trouble. Do you suppose there is such a place, Toto? There must be. It's not a place you can get to by a boat, or a train. It's far, far away. Behind the moon, beyond the rain.....", and begins singing the song. The famous sequence itself, as well as the entirety of the Kansas scenes, was directed (though unaccredited) by King Vidor. In 1885, John Philip Sousa (pictured at left) composed the “Wissahickon Waltz” for the proprietors of a Philadelphia department store, and it was published in their own magazine. Apparently dissatisfied with the limited distribution, he completely revised the composition, added new material, and renamed it The Colonial Dames Waltzes. It was dedicated to the National Society of Colonial Dames of America. The first edition of the composition with its new title appeared in the Ladies’ Home Journal of April 1896, marking the 50th anniversary of the Colonial Dames organization. Washington Post March (1889). During the 1880’s, several Washington, DC, newspapers competed vigorously for public favor. One of those, the Washington Post, organized what was known as the Washington Post Amateur Authors’ Association and sponsored an essay contest for school children. Frank Hatton and Beriah Wilkins, owners of the newspaper, asked Sousa, then leader of the Marine Band, to compose a march for the award ceremony. The ceremony was held on the Smithsonian grounds on June 15, 1889. President Harrison and other dignitaries were among the huge crowd. 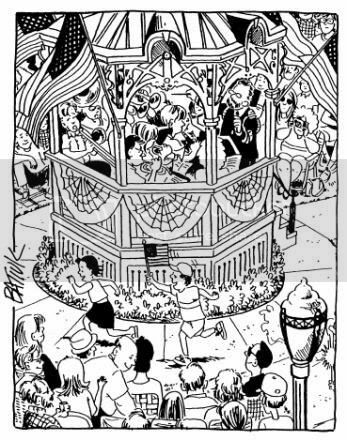 When the new march was played by Sousa and the Marine Band, it was enthusiastically received, and within days it became exceptionally popular in Washington. Next to “The Stars and Stripes Forever,” “The Washington Post” has been Sousa’s most widely known march. He delighted in telling how he had heard it in so many different countries, played in so many different ways -- and often accredited to native composers. It was a standard at Sousa Band performances and was often openly demanded when not scheduled for a program. 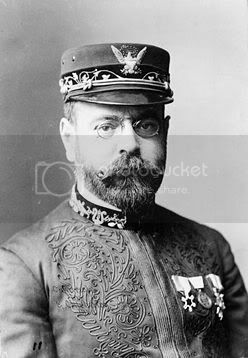 It was painful for Sousa to relate that, like “Semper Fidelis” and other marches of that period, he received only $35 for it, while the publisher made a fortune. Of that sum, $25 was for a piano arrangement, $5 for a band arrangement, and $5 for an orchestra arrangement. 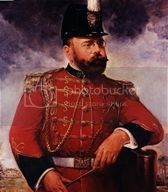 Today, at a community room in Washington, a spotlight illuminates a life-size color portrait of the black-bearded Sousa, resplendent in his scarlet Marine Band uniform. This is the John Philip Sousa Community Room in the Washington Post Building. It is the newspaper’s tribute to the man who first gave it worldwide fame. John Williams (pictured at right) studied composition at UCLA with Mario Castelnueovo-Tedesco and later attended the Juilliard School. In 1956, he started working as a session pianist in film orchestras. He has composed the music and served as music director for over 70 films, including Jaws, E.T., Star Wars, Superman, Raiders of the Lost Ark and Schindler’s List. Williams has been awarded two Emmys, five Oscars, and 17 Grammy Awards, as well as several gold and platinum records. From 1980 to 1993, Williams served as conductor of the Boston Pops Orchestra. 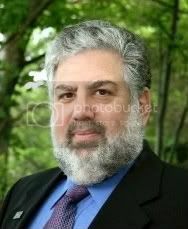 He has written many concert pieces and is also known for his themes and fanfares written for the 1984, 1988, and 1996 Olympics. 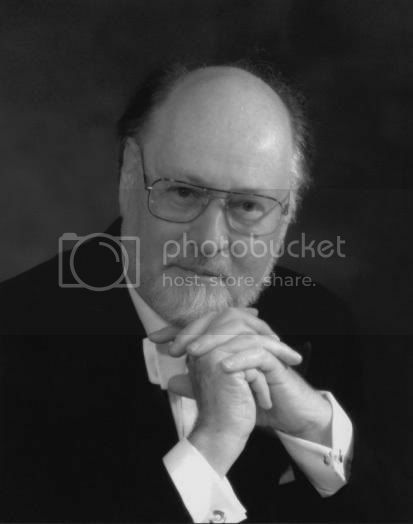 John Williams wrote Olympic Fanfare and Theme for the 1984 Los Angeles Summer Olympics, the theme was performed by the by the United States Army Herald Trumpets conducted by then Captain David Deitrick. Williams wrote Summon the Heroes for the 1996 Summer Games and Call of the Champions for the 2002 Salt Lake City Winter Olympics. His The Olympic Spirit was written for the 1988 Olympics in Seoul. James Curnow prepared the arrangement for concert band used in this concert. John Philip Sousa observed, "Jazz will endure as long as people hear it through their feet instead of their brains." Interesting enough, Sousa's interest in Jazz began with ragtime. He programmed it sparingly during the late 1890s in the United Sates and found that his audiences loved it. And, it was Sousa who was initially responsible for the popularity of ragtime in Europe. He joined a few classical composers who experimented with ragtime and jazz by composing several compositions in the style. From concert programs, we also know that he featured ragtime and Dixieland ensembles with his band. The Jared Spears - At a Dixieland Jazz Funeral is more a traditional approach to the style, featuring the small solo ensemble in two moods of the style (the first being a funeral wake, taking the recently departed soul to the cemetery for burial and the second, being the uplifting party for the spirit). Armed Forces Salute, arranged by Robert Lowden, is probably one of the most widely used salutes to our military personnel. Lowden was a prolific composer, arranger, and renowned clarinetist whose music reached far beyond the borders of his native New Jersey. 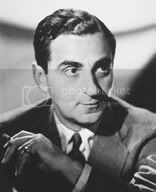 He penned over 400 advertising jingles in his long career, but orchestras and bands know him for his many arrangements of popular and show tunes. Lowden studied to be a music educator at Temple University. During World War II, he served in the U.S. Army Band. He wrote for the Somerset label and its feature group, 101 Strings. He served as the lead arranger for the Philadelphia Pops and often took a bow at performances of his works by the Ocean City Pops at the Music Pier.